Pools are very popular in South as families come together there to have fun. From parties, graduations to birthdays – showing off your pool is something that comes naturally. 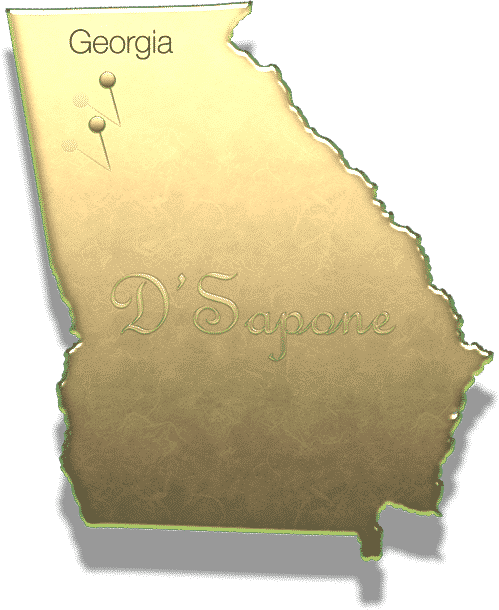 We have certified artists to perform the pool tile restoration in Atlanta, who are passionate about perfection and will restore your tile and grout on an unbelievable scale. Minerals on the tile are a burden. Notice, how we have cleaned a few tile pieces around the skimmer. The tile color is so blue and vibrant that was covered by mineral deposits. Today the art of repairing the cracked tile and grout has become very detailed. 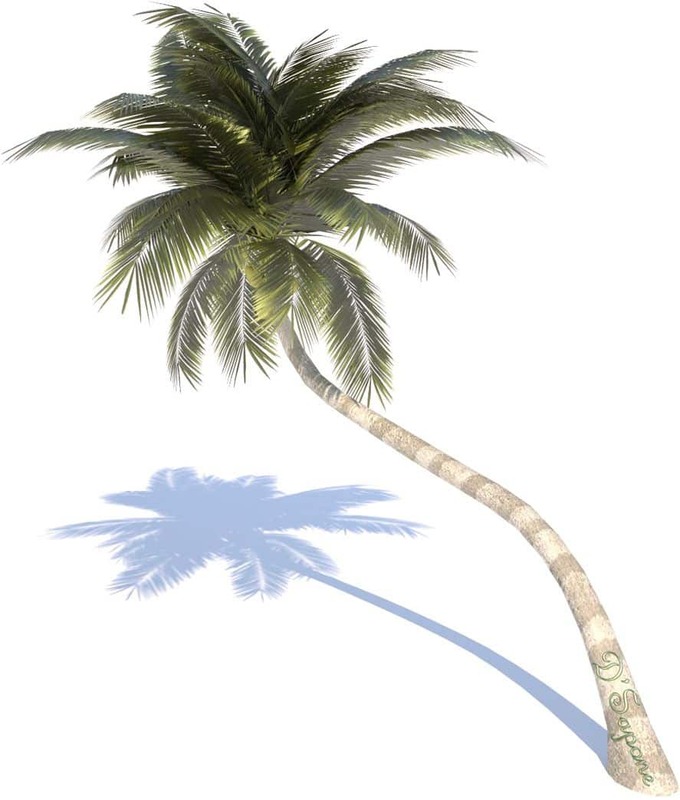 We use Sentura – a flexible 2-part solvent resin/epoxy. We color match the Sentura to the tile. Do not replace the tile – simply restore it today. It is only two inch tubing. A burden to keep clean. 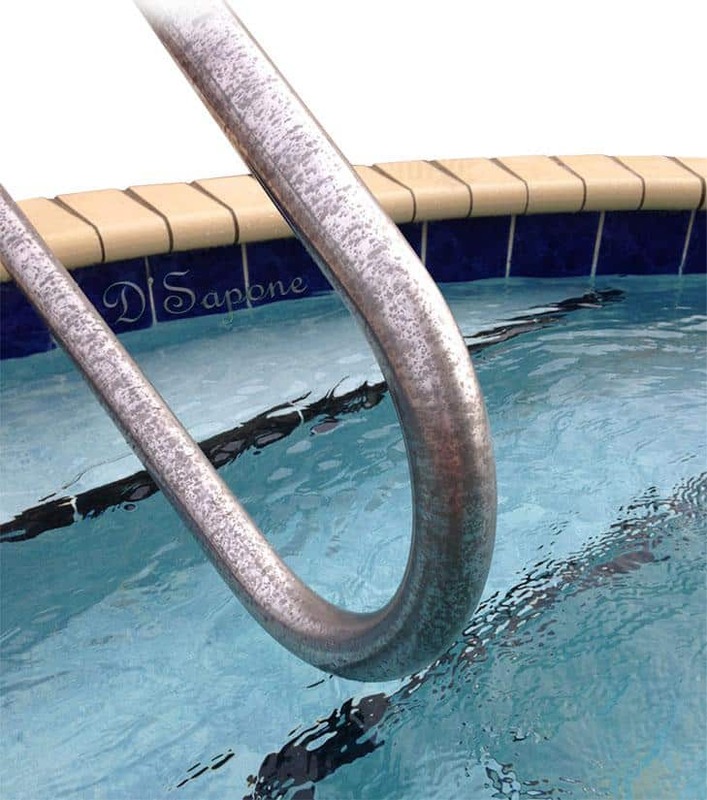 Etched and corroded stainless steal hand rails can now be restored to a new appearance and then, they can be sealed with a solvent sealer to prevent the stainless from corroding again. 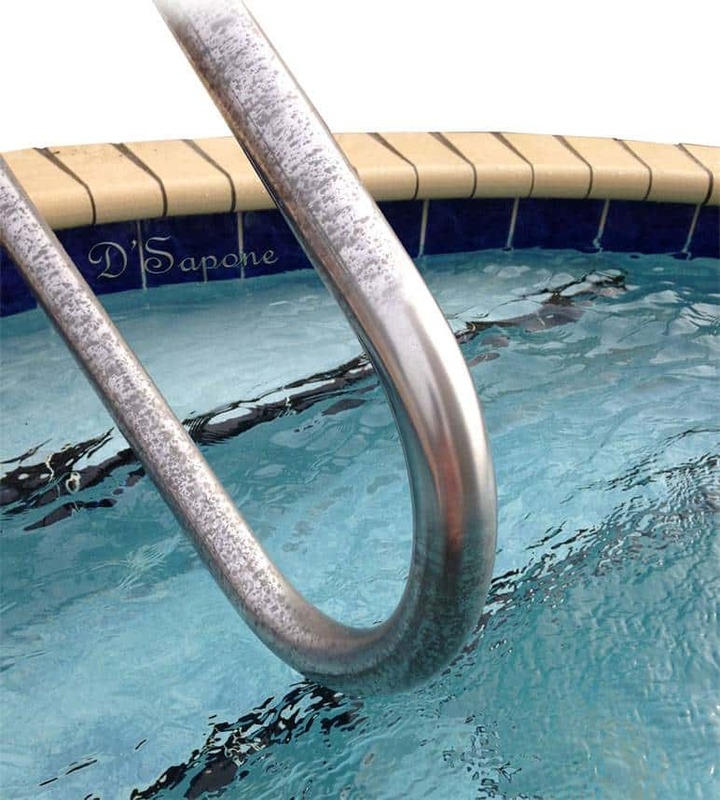 Chlorine chemicals and salt water are the two most dangers to the stainless steel hand rails. Pool tile restoration in Atlanta. 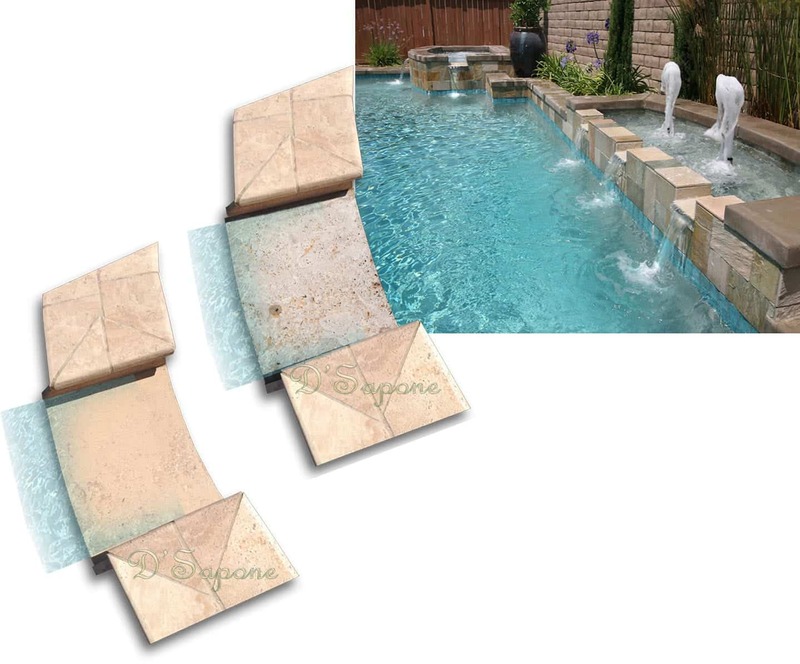 Chlorine, water and chemicals deteriorate the travertine and other natural stone waterfalls. 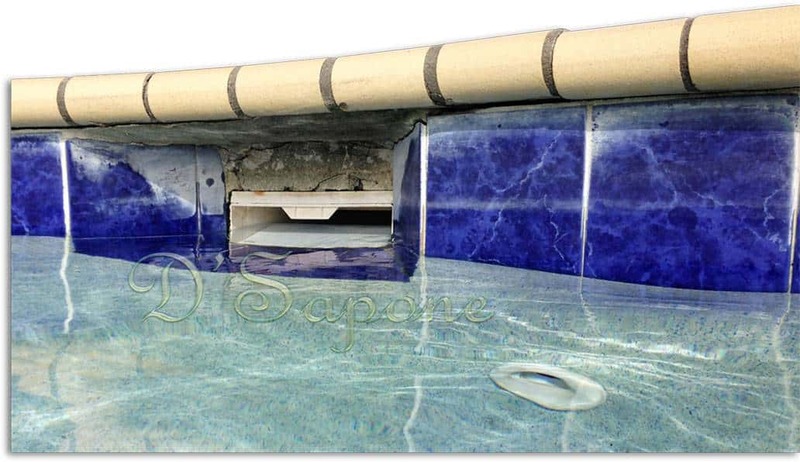 The pictures to the left are showing the before and after conditions, where the water travels over the stone flowing into the pool. 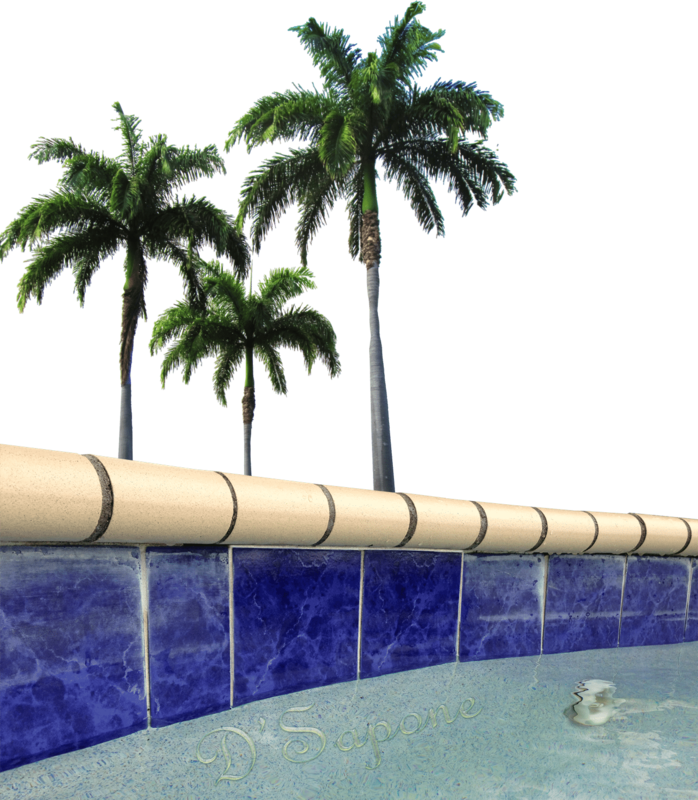 Not only do we repair the stone, while performing the pool tile restoration in Atlanta, we also warranty our service. 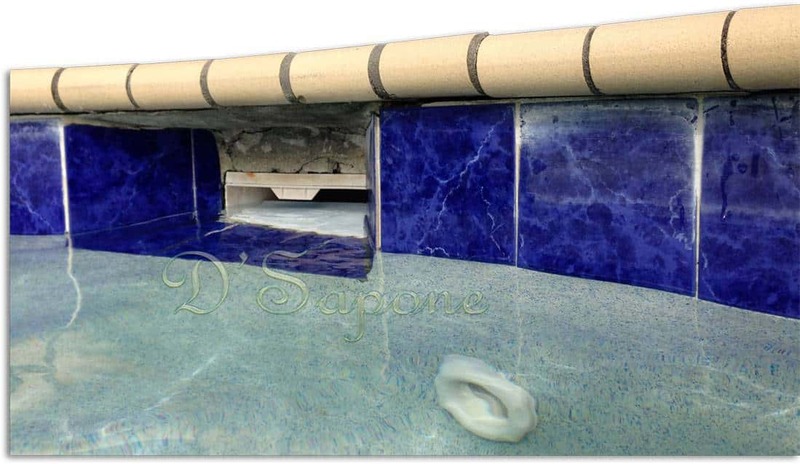 We use Sentura – a chemical resistant flexible resin-epoxy that is color matched to the travertine and looks natural.